New Directions is the magazine of Forward in Faith. It is published monthly, except in January and August. New Directions is sent free of charge to all members of Forward in Faith. 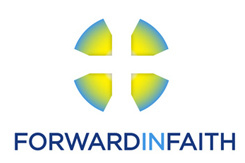 For details of how to join Forward in Faith, please click here. 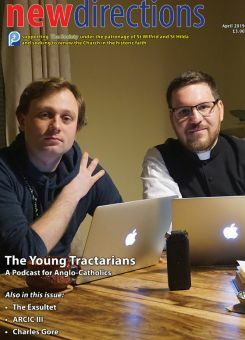 You may also subscribe to New Directions at an annual cost of £30 (UK), £45 (rest of Europe), or £55 (rest of the world). If you have a UK bank account, please print off this form and return it to the Forward in Faith office. If not, please telephone us (+44) 20 7388 3588) on Monday, Wednesday or Thursday between 10 am and 4.30 pm UK time. To advertise in New Directions please contact Mike Silver. The New Directions PDF Archive on this website includes all issues from January 2007 onwards. The New Directions Text Archive on this website contains most of the articles from Issue No. 1 (June 1995) onwards.